re you planning a conference? Looking for an intimate place to host clients or colleagues? Getting married? Having a party? EB Hotel can satisfy your needs. Whatever your needs are for your event, our Banquets staff is dedicated to helping you plan the perfect event, from beginning to end. Our business center rooms are ideal for work sessions or small conferences. In our restaurant, you can plan your private lunches or dinners, or do as you choose. 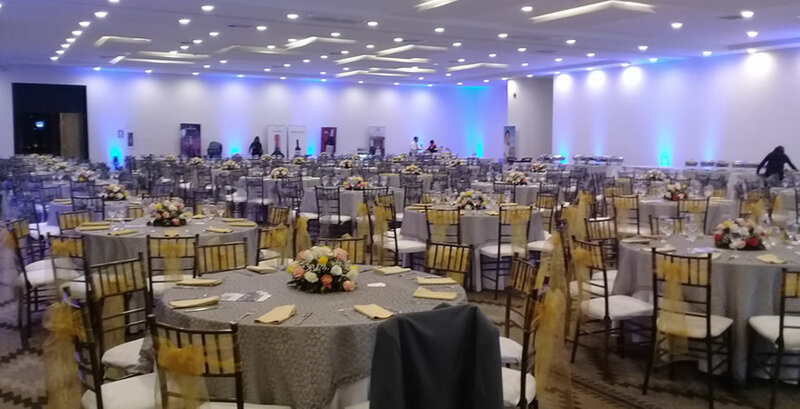 Our professional atmosphere, technological facilities and the best service will be the tools to plan and ensure the success of your meeting or event. From the right environment, the indicated decor, and the menu of your choice, we will organize and support you with all your event's details. Your big day is special for us too. We can provide the ideal environment and service for your wedding rehearsal, ceremony, reception and more.